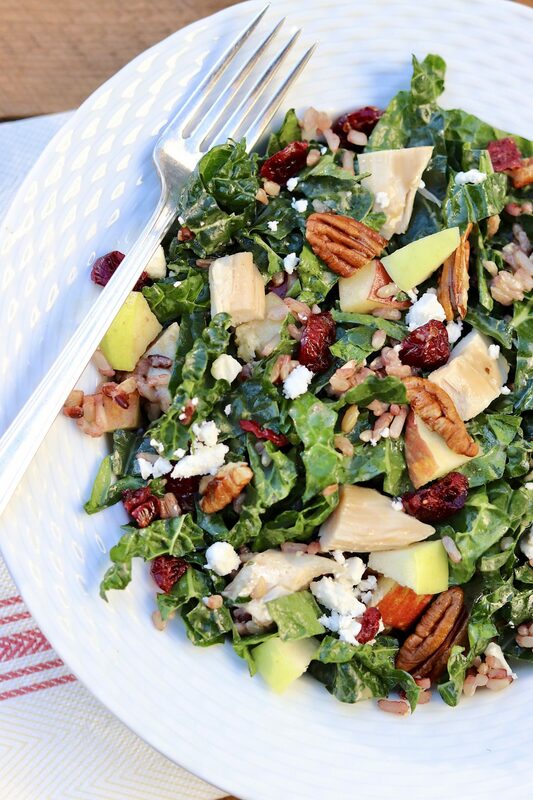 Turkey (or Chicken), Kale & Wild Rice Salad is a healthy, super satisfying way to turn leftovers into a complete meal. Perfect for a post-holiday detox or clean eating (that tastes great!) any time of year. Happy Thanksgiving! 旅 I, for one, am thankful for family, friends and a loyal group of readers who make sharing recipes and stories through my blog and newspaper column a complete joy! Thank you for that ❤️ and enjoy every last forkful of turkey, stuffing, potatoes, cranberry sauce and pie. I will be doing the same! Of course, every year after the holiday feast and a requisite turkey sandwich or two, I start to crave a little something green and crunchy. Enter this all-in-one meal that makes good use of leftover turkey, or chicken when the leftovers are no more. Heightening the appeal is a stellar contrast of colors, flavors and textures. 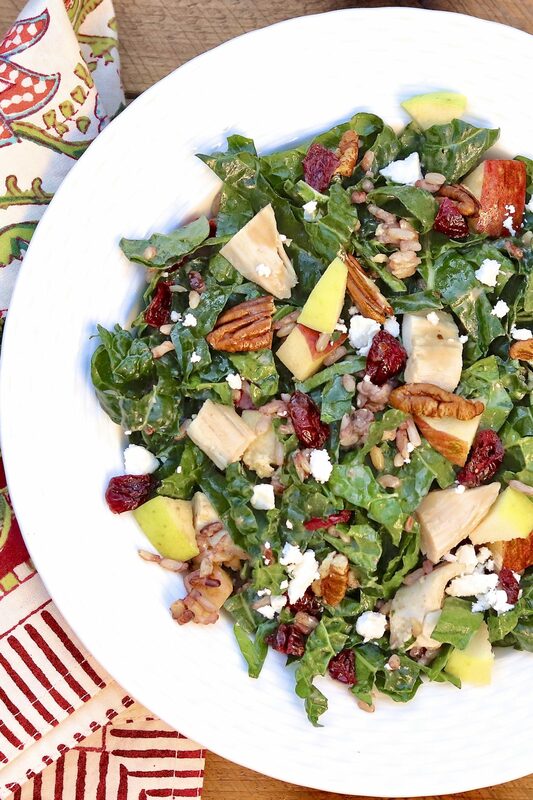 Crunchy nuts or seeds, sweet apple, tart cranberries, vibrant greens, lean protein, whole grains and salty feta, all wrapped up in a light-yet-creamy dressing. Make it ahead if you like. 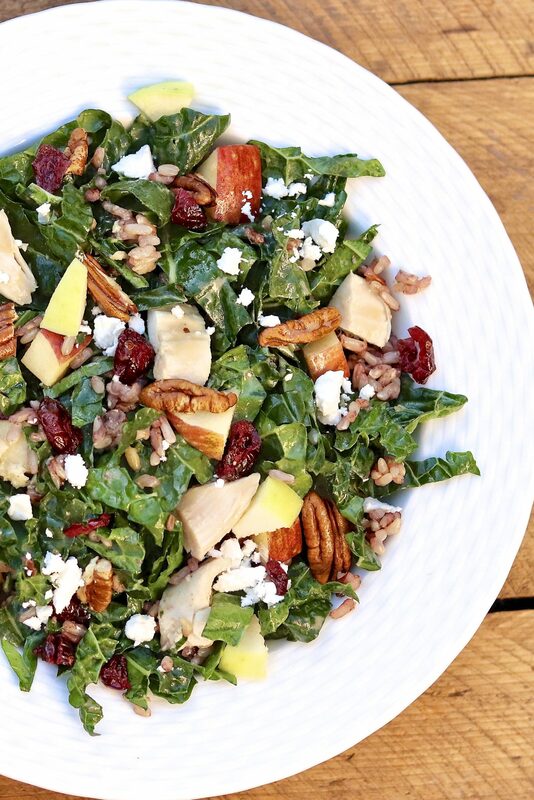 The hearty greens and other ingredients keep well. Leftovers make a great packable lunch or dinner over the next several days. I typically use my creamy balsamic dressing – or my classic balsamic with just a touch more honey. (Printable recipes are linked below.) Feel free to use your favorite homemade or store-bought alternative if preferred. A note of caution for those who avoid gluten: Look at the ingredient list if using a wild rice blend. Some blends contains barley or other grains that are not gluten-free. 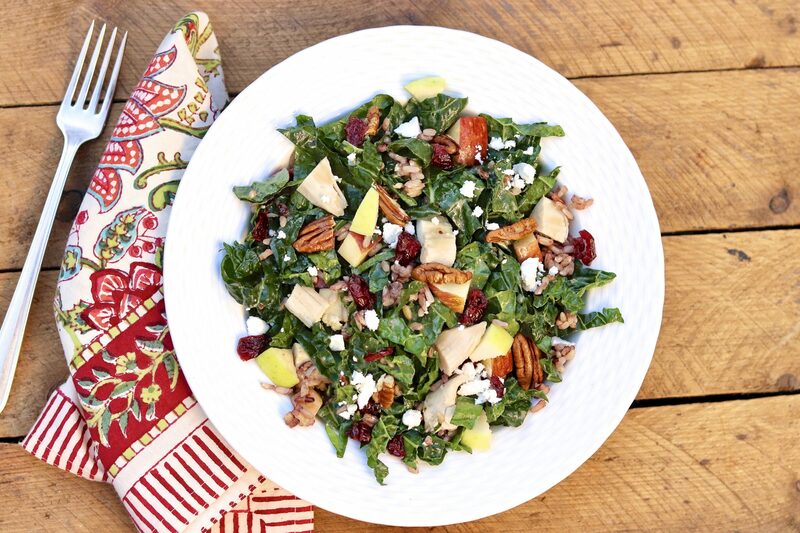 I do prefer the texture and flavor of wild rice or a wild rice blend in this salad. In a pinch, a long grain brown rice or quinoa could be used. 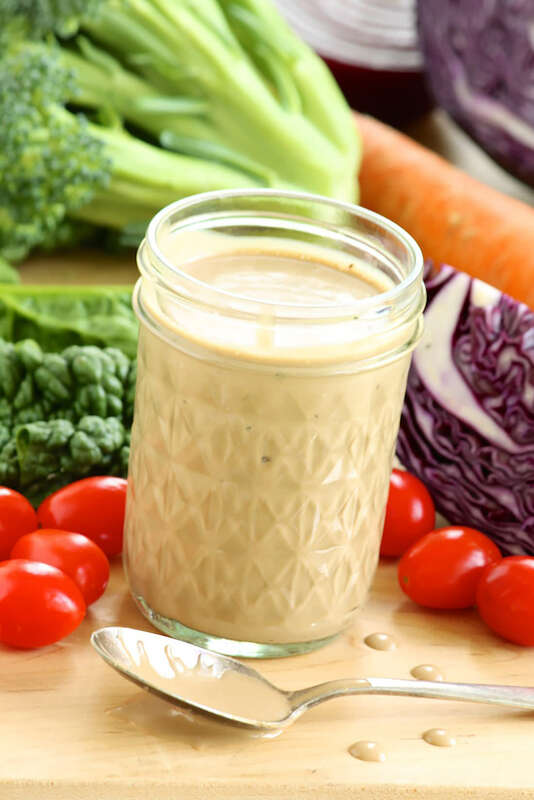 Creamy Honey Balsamic Dressing is my personal favorite dressing for this salad, although you may use your favorite homemade or store-bought dressing. 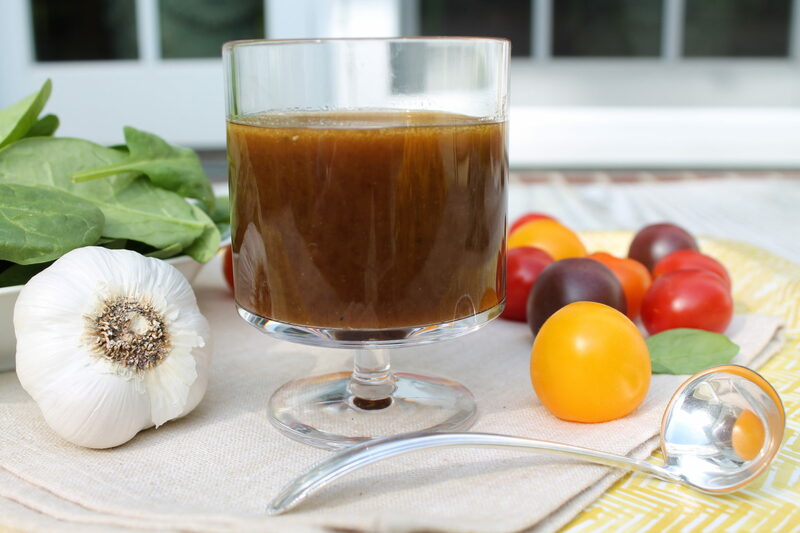 As an option, Favorite Balsamic Vinaigrette is big on flavor with ingredients you control. A healthy, super satisfying way to turn leftovers into a complete meal... perfect for a post-holiday detox or clean eating (that tastes great!) any time of year. Place the sliced kale in a large bowl. Sprinkle the kale with a pinch or two of salt and massage until it starts to darken and soften. Add the remaining salad ingredients and drizzle with about 1/3 cup of the dressing. Toss to thoroughly combine. Add more dressing if you like a heavier coating, and sprinkle with salt and pepper to taste. Salad will keep for up to 3-4 days in the fridge. Freshen with an extra drizzle of dressing as needed. *For optimal crunch if making ahead and/or planning on leftovers, add the nuts or seeds just prior to serving.